Terra Cross is just your typical paranormal princess. She plays poker with goblins and leprechauns. She savors her morning muffin from the Pacific Sunrise Bakery in suburban California. She solves galactic crime cases. And on a particularly wild day, she can even see into the future. Everything is going so well—up until her father, the mages’ high king, betroths her to one of his allies. But playing nice with otherworldly ambassadors isn’t the only thing on Terra’s plate. A renegade mage scientist has taken up shop on Earth, whose inhabitants have no knowledge of magic or the worlds beyond. With his forbidden experiments threatening to pierce the Veil of Secrecy on Earth, Terra can’t tackle this challenge alone. Divided by magic and technology—torn between a mage enforcer with devastating telekinetic powers, and a lethal black ops vampire soldier—time is running out. For if this mad scientist succeeds, the galaxy’s hard hand of justice will come down on them all. 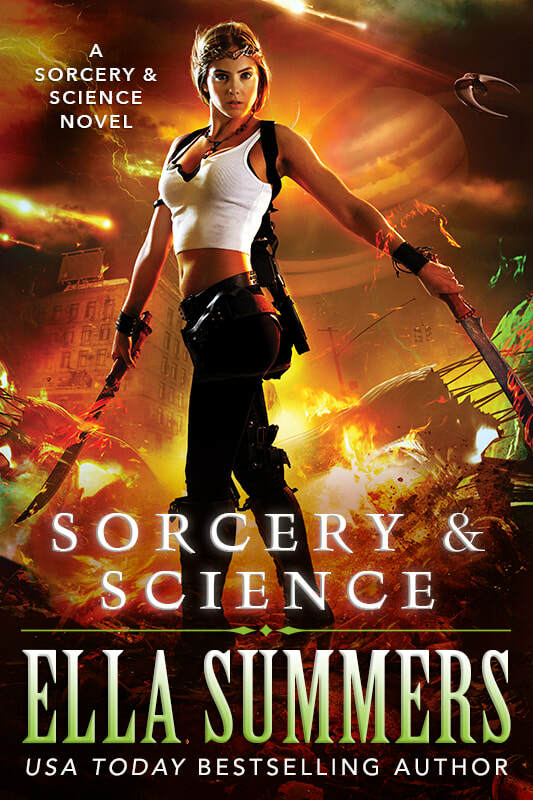 Sorcery & Science is a new urban fantasy novel set in the rebooted Sorcery & Science universe. This book is currently available as an exclusive free bonus to my mailing list subscribers. Join my list here. ...and more books coming soon!